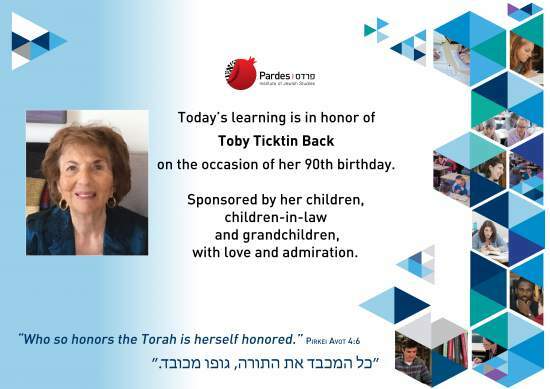 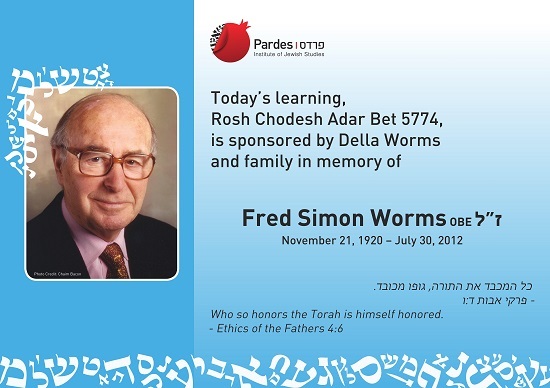 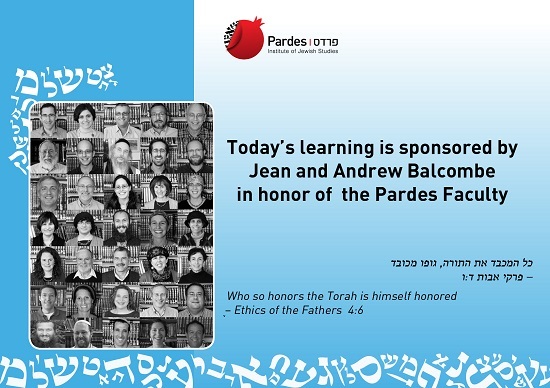 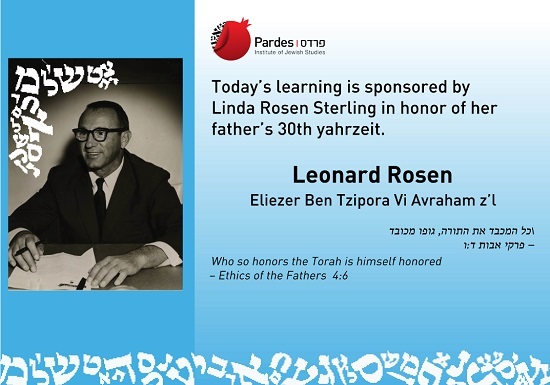 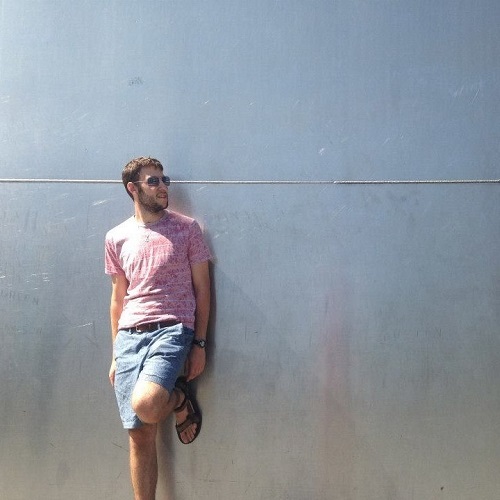 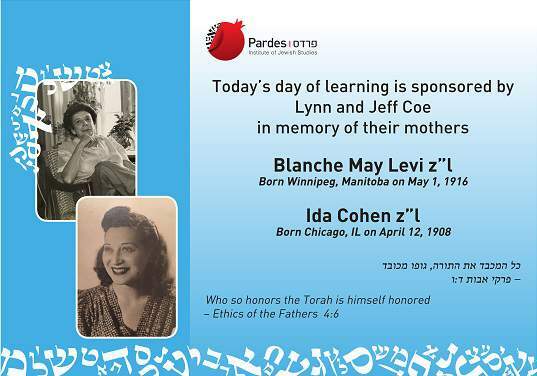 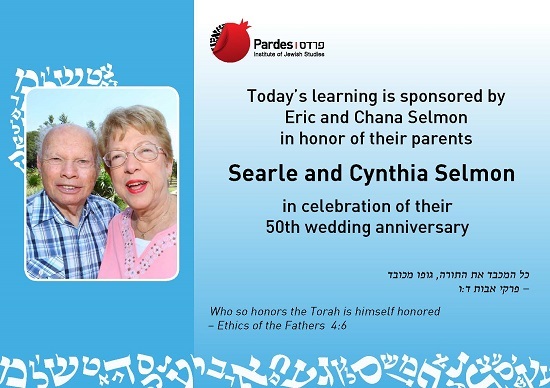 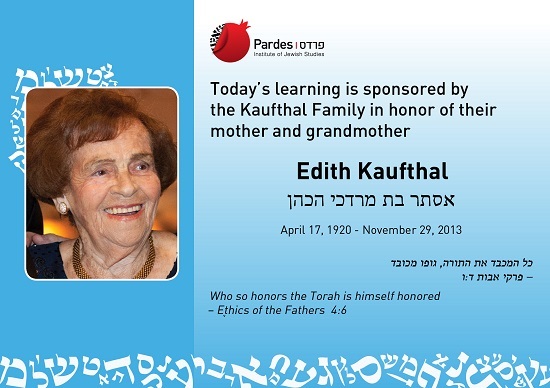 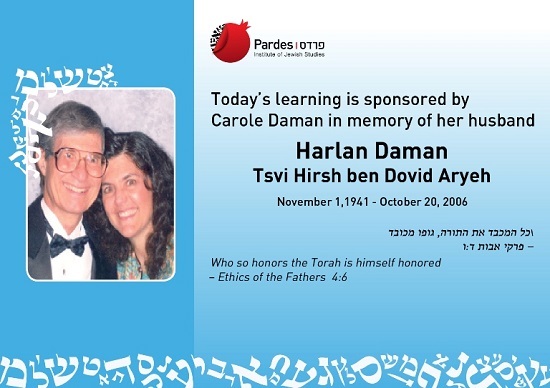 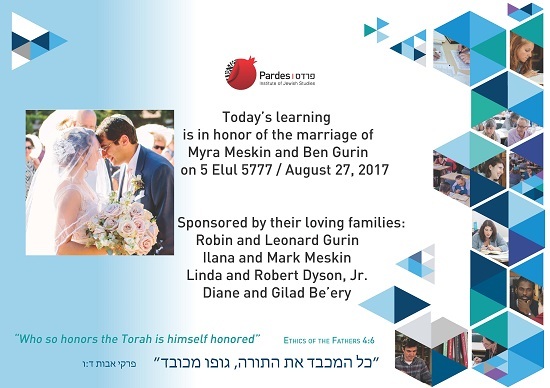 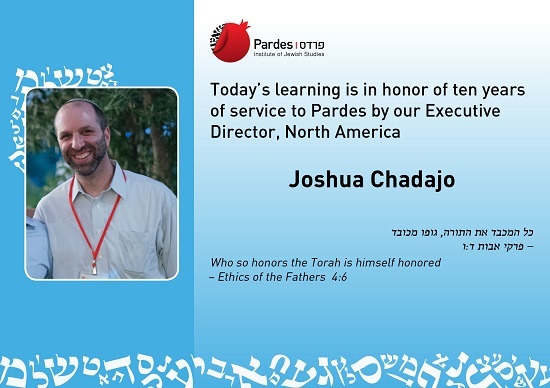 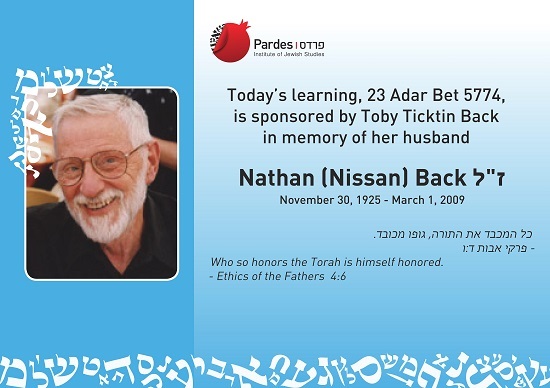 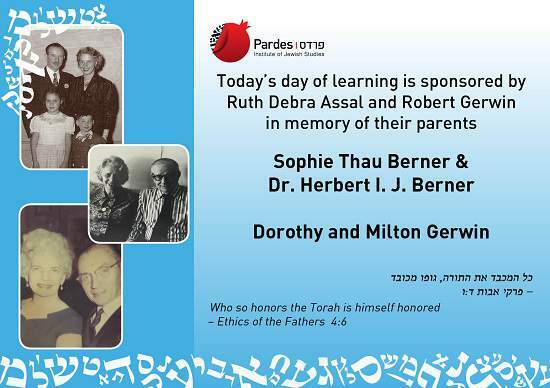 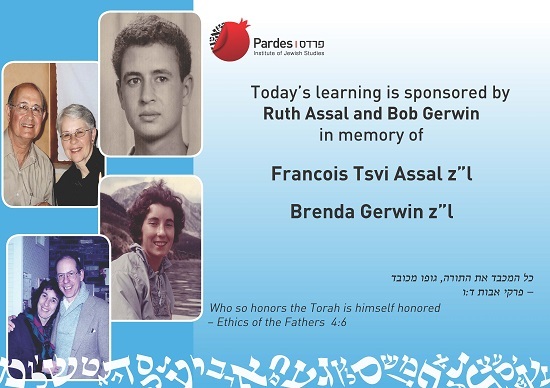 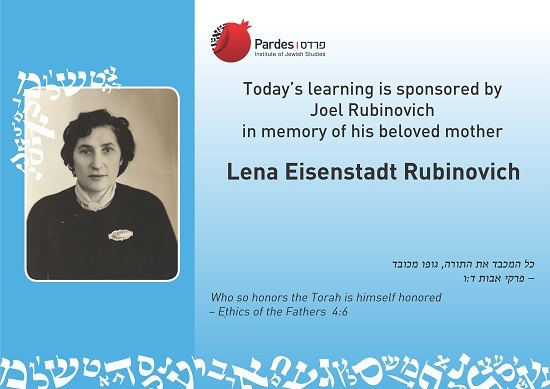 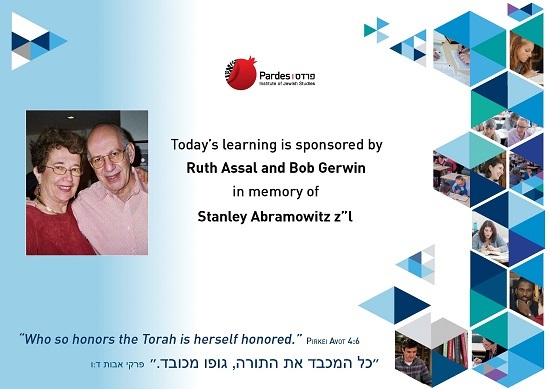 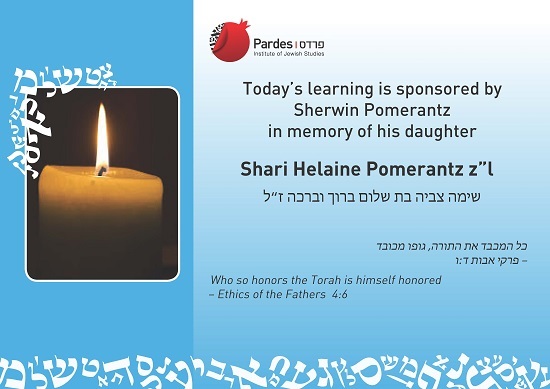 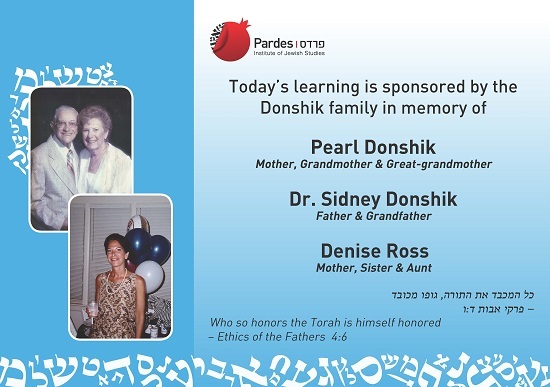 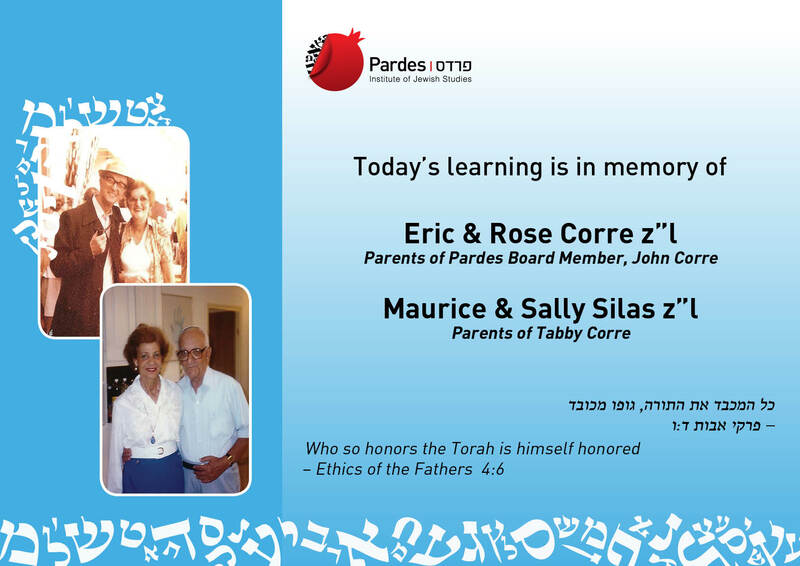 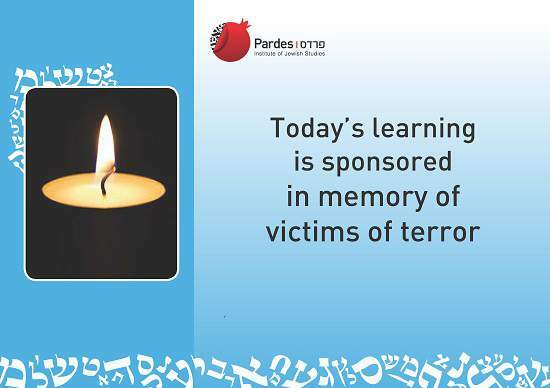 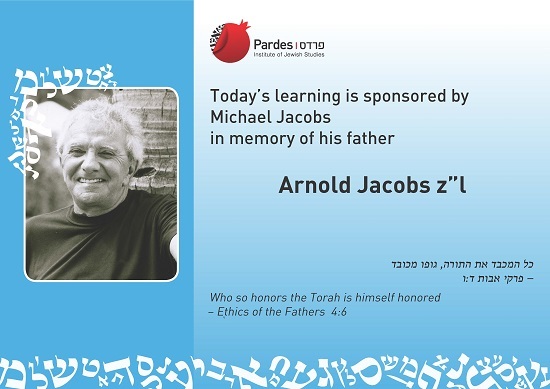 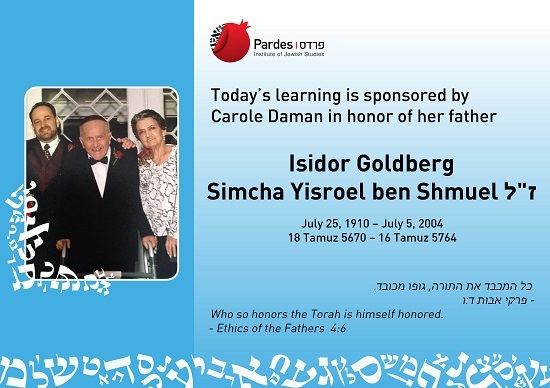 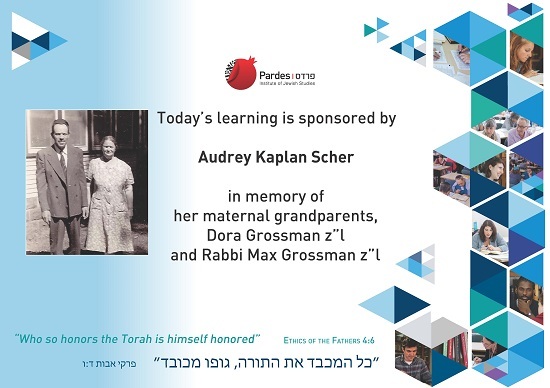 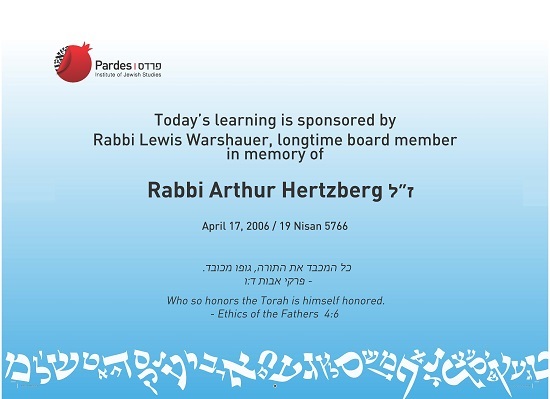 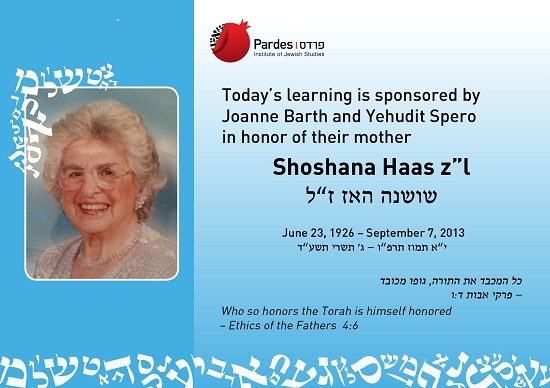 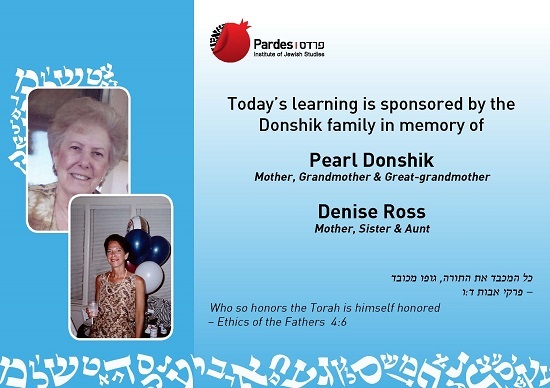 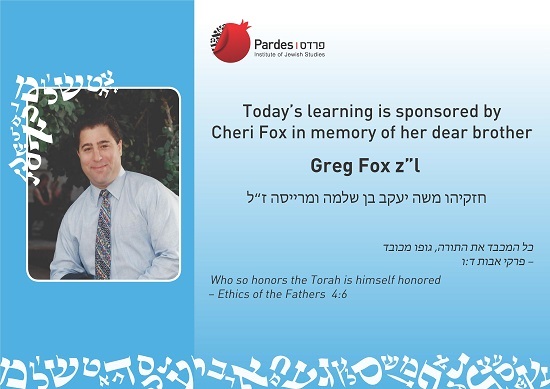 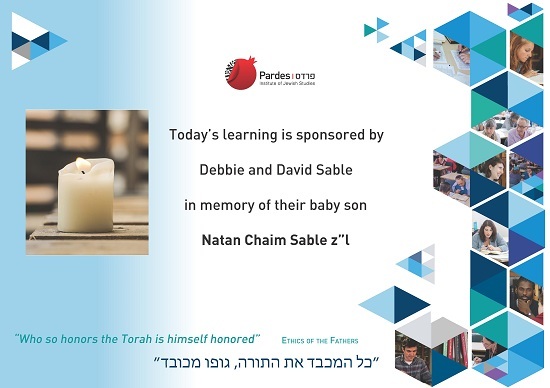 Pardes offers individuals the opportunity to sponsor the learning that takes place in our Beit Midrash to remember, honor or celebrate any occasion. 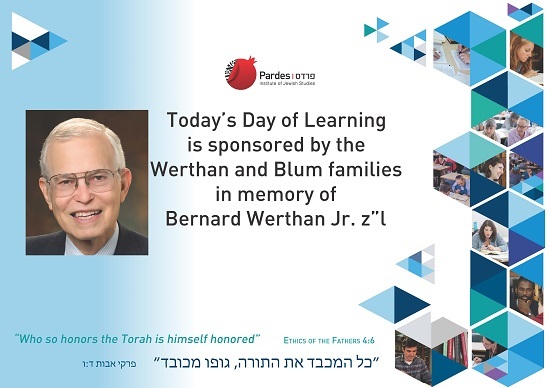 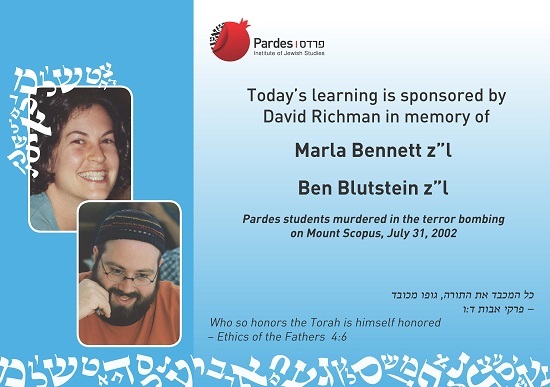 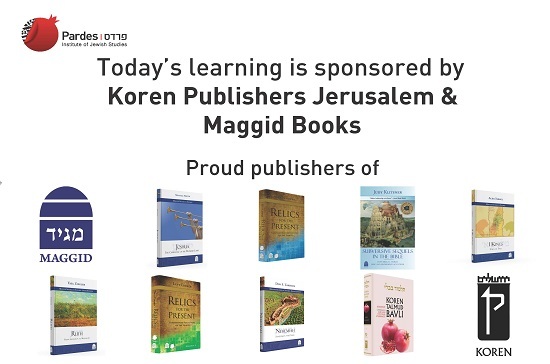 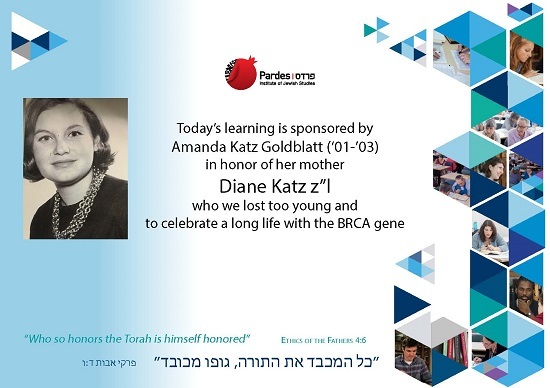 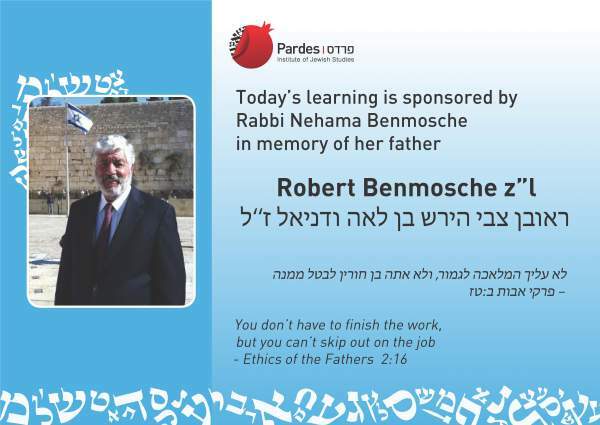 When a Day of Learning is sponsored, a personalized sign is featured in the Pardes Beit Midrash, an announcement is made to the student body, and the occasion is also shared online with our friends worldwide. 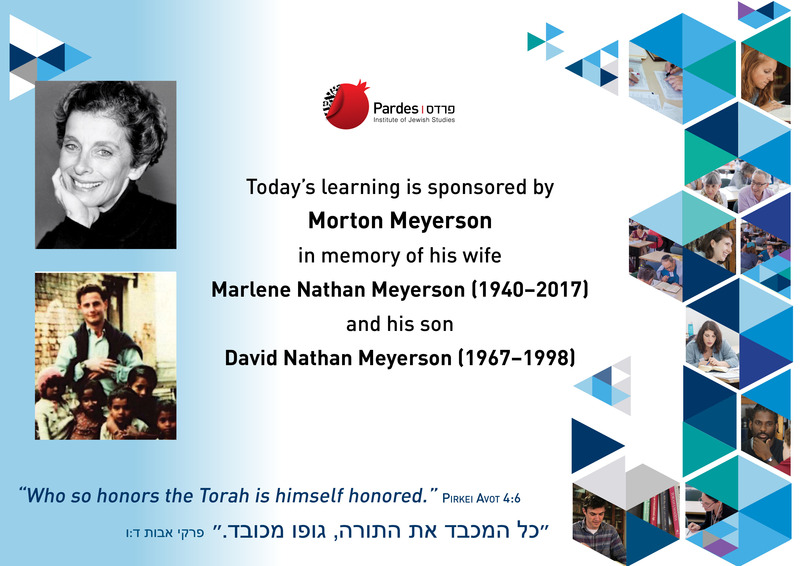 In addition, we invite the sponsor to say a few words to our students in person or provide Pardes with a written tribute to be read aloud. 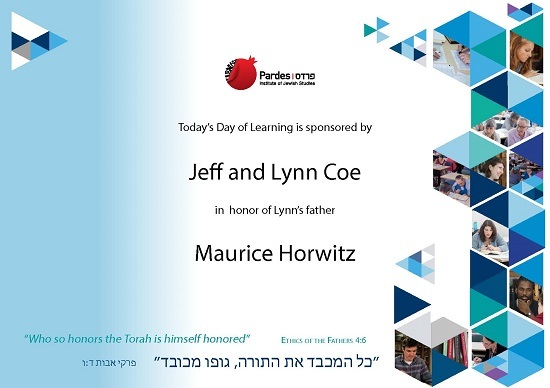 To sponsor a day learning please contact jamie@pardes.org. 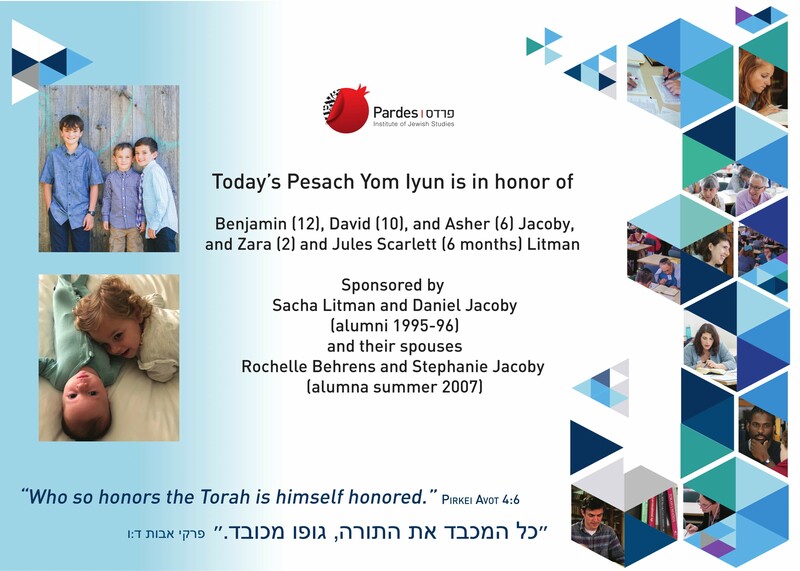 The Pesach Yom Iyun (April 9, 2019 / 4 Nisan 5779) is in honor of Benjamin (12), David (10), and Asher (6) Jacoby, and Zara (2) and Jules Scarlett (4 months) Litman. 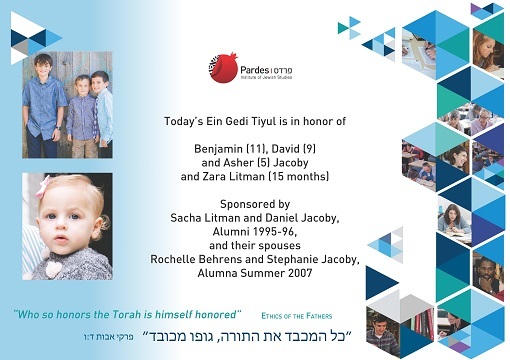 Sponsored by Sacha Litman and Daniel Jacoby (alumni 1995-96) and their spouses Rochelle Behrens and Stephanie Jacoby (alumna summer 2007). 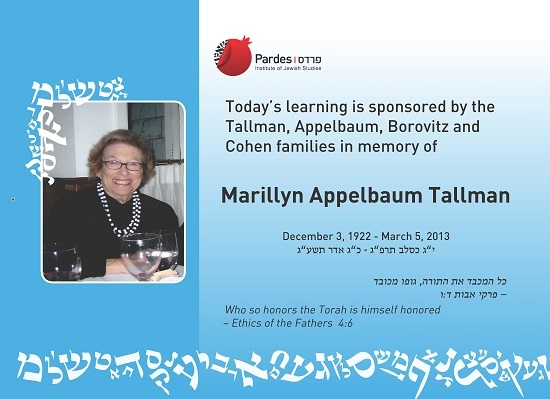 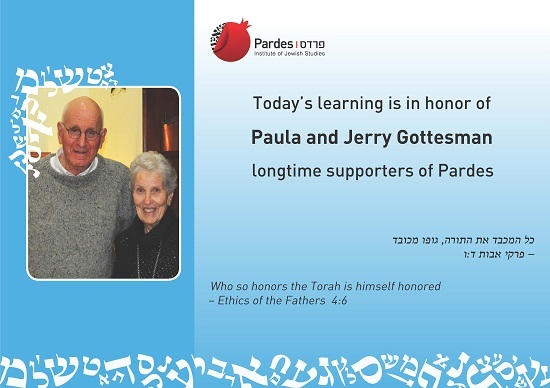 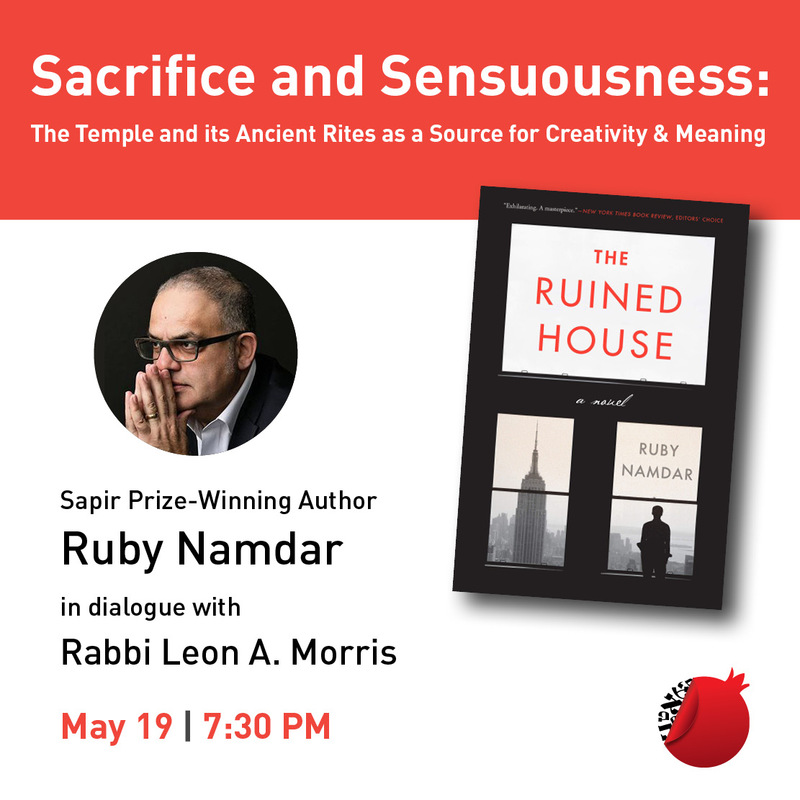 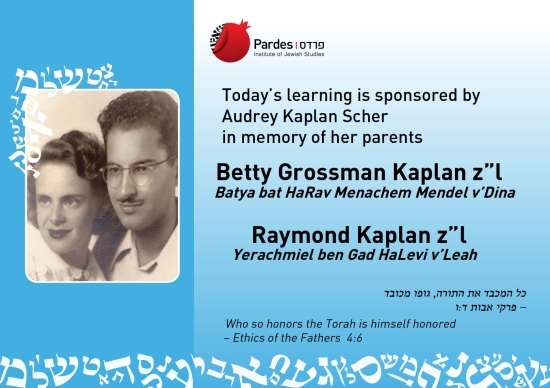 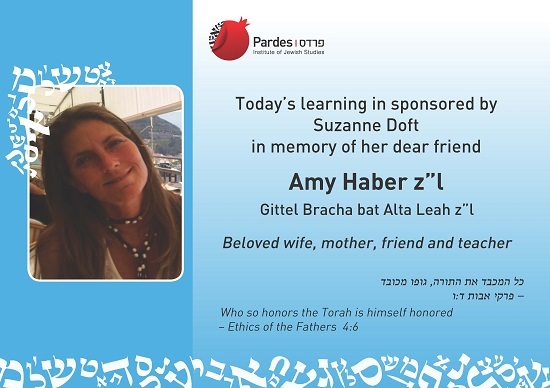 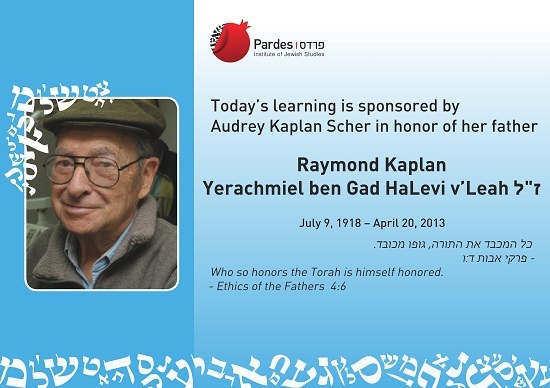 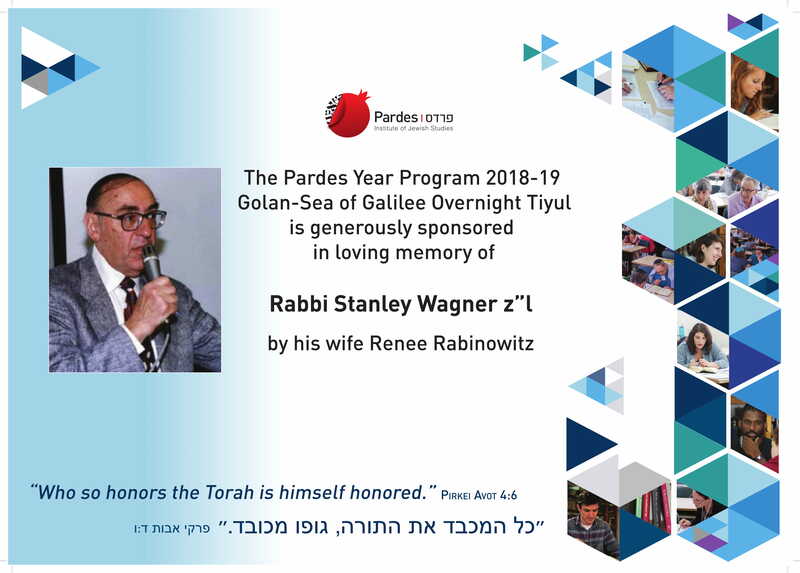 The Pardes Year Program 2018-19 Golan-Sea of Galilee Overnight Tiyul is generously sponsored in loving memory of Rabbi Stanley Wagner z”l by his wife Renee Rabinowitz. 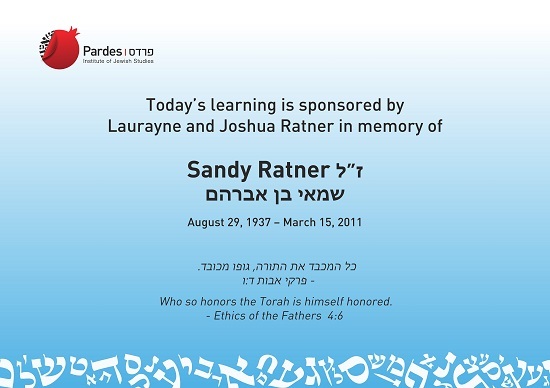 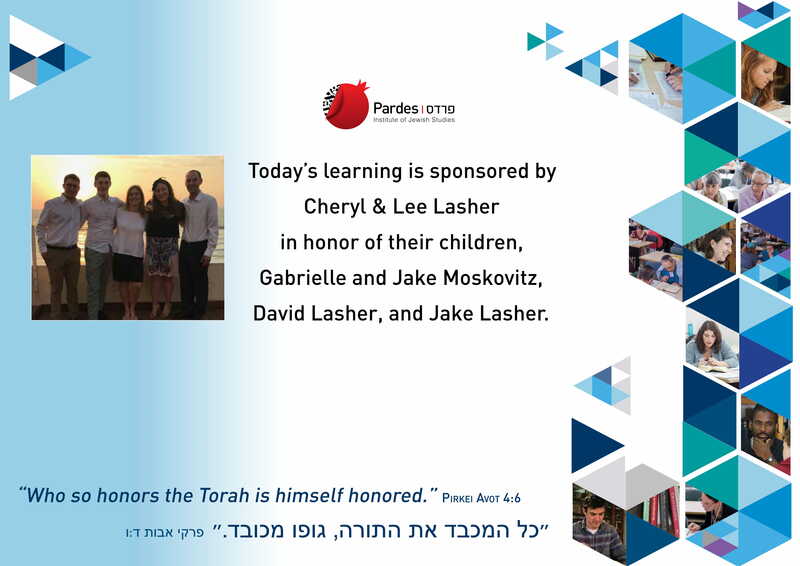 Sponsored by Pardes supporters Cheryl & Lee Lasher in honor of their children, Gabrielle and Jake Moskovitz, David Lasher, and Jake Lasher. 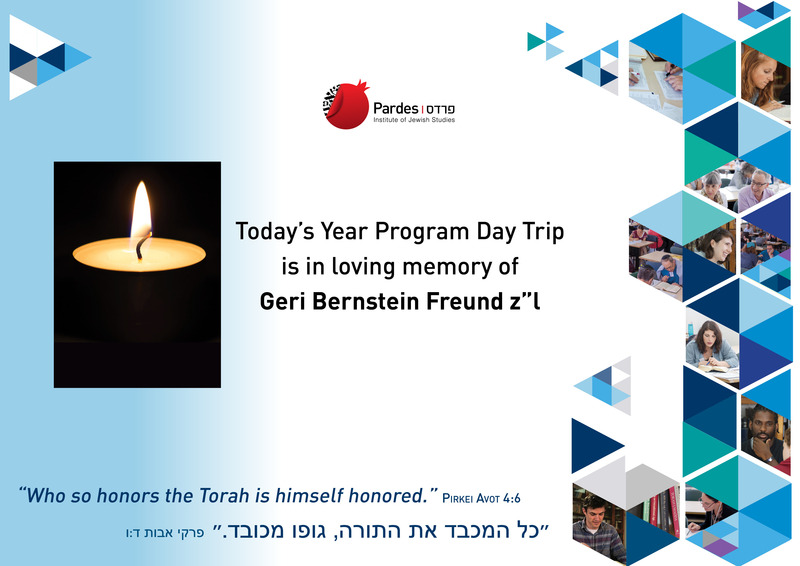 The Land of Benjamin Year Program Day Trip is in loving memory of Geri Bernstein Freund z”l. 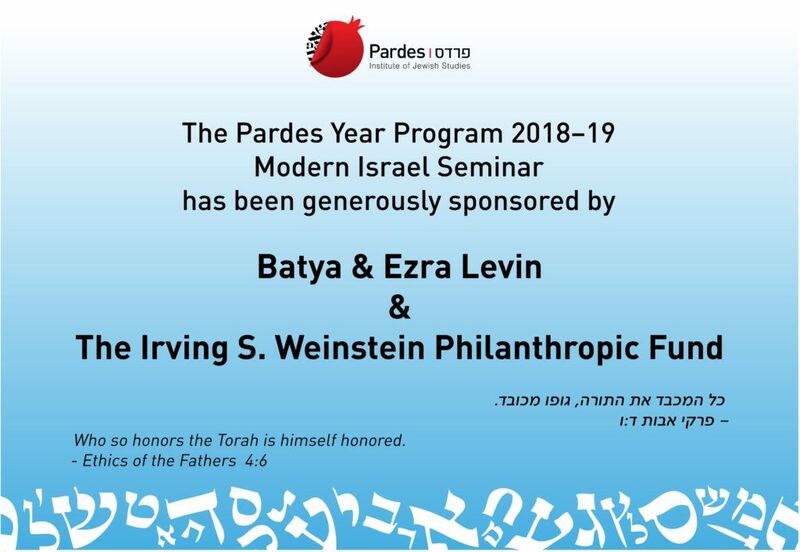 The Modern Israel Seminar Overnight Tiyul is sponsored by Batya & Ezra Levin and the Irving S. Weinstein Philanthropic Fund. 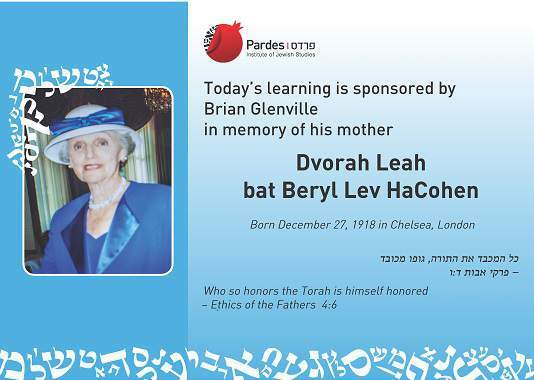 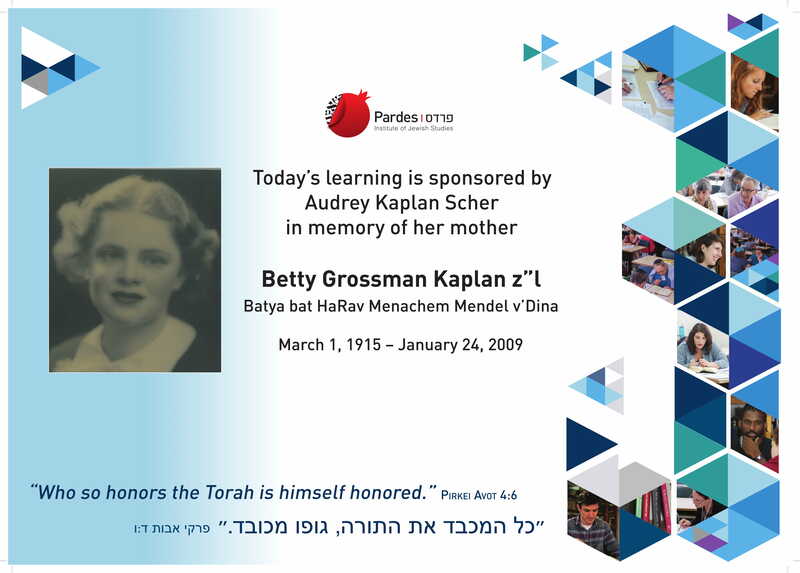 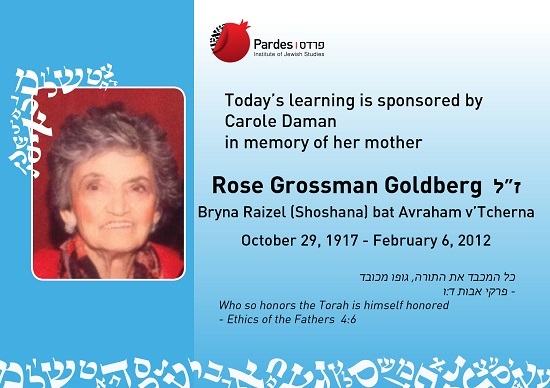 Sponsored by Carole Daman in memory of her mother Rose Grossman Goldberg z”l, Bryna Raizel bat Avraham z”l. 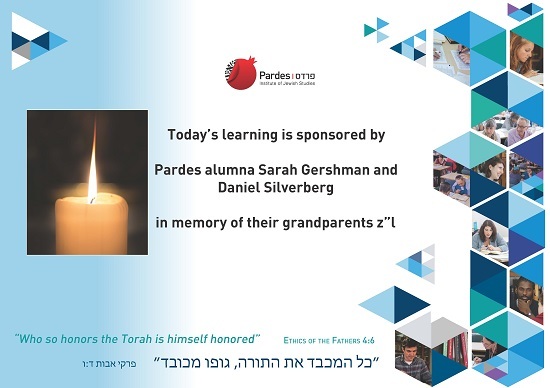 In memory of their grandparents z”l. In the merit of their parents continued good health. 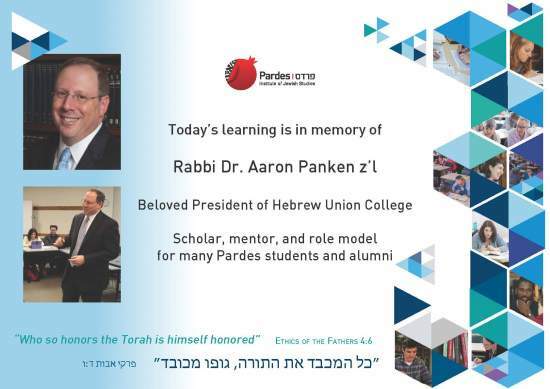 In memory of Rabbi Dr. Aaron Panken z”l, beloved President of Hebrew Union College and a scholar, mentor and role model for many Pardes students and alumni. 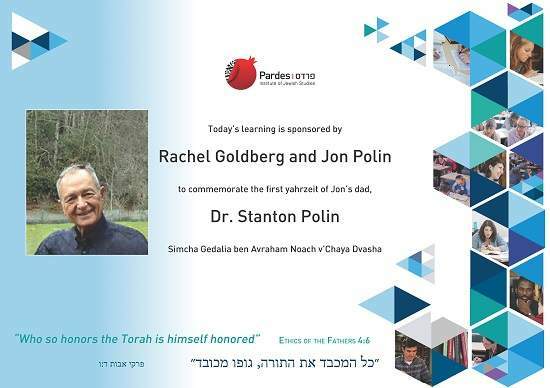 In memory of Dr. Stanton Polin, Simcha Gedalia ben Avraham Noach v’Chaya Dvasha z”l on his first yahrzeit. 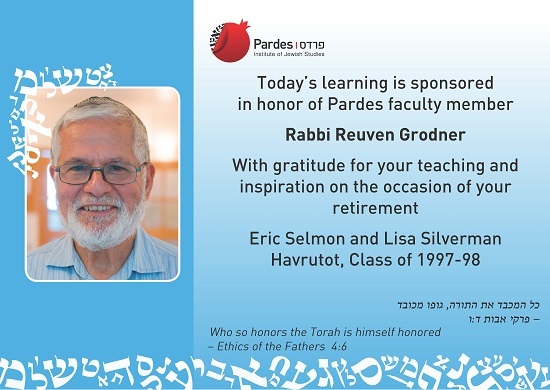 In honor of Pardes faculty member Rabbi Reuven Grodner, with gratitude for his teaching and inspiration, on the occasion of his retirement. 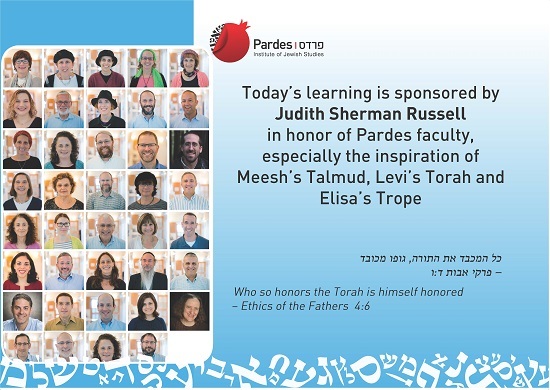 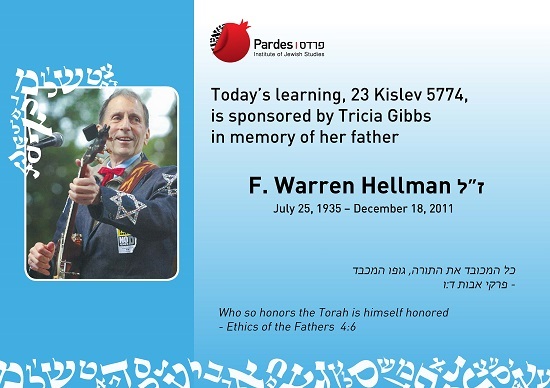 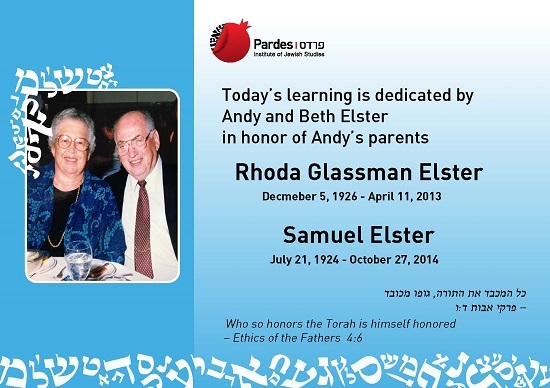 In honor of the faculty of Pardes, especially the inspiration of Meesh’s Talmud, Levi’s Torah, and Elisa’s Trope. 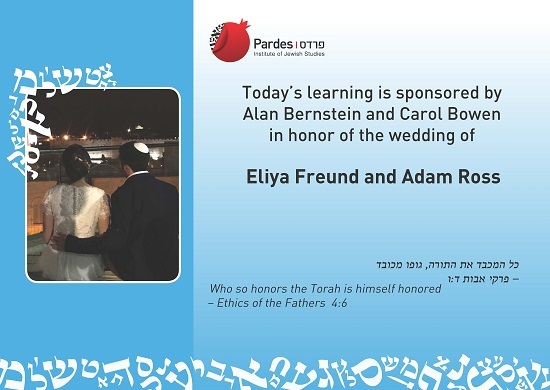 In honor of the wedding of their niece, Eliya Freund to Adam Ross. 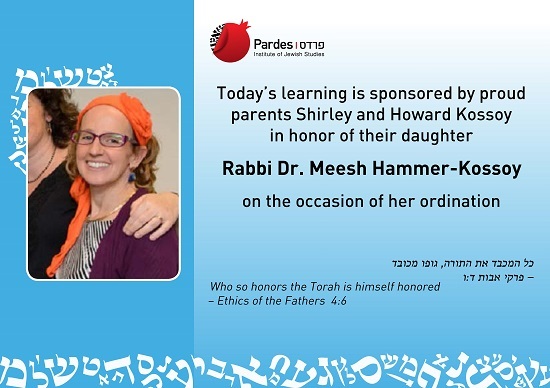 In honor of Rabbi Meesh Hammer-Kossoy on the occasion of her ordination.